The Court of Appeal of the United States of America has thrown out an appeal brought by a US company against the Government of Ghana which challenged the dismissal of a $425-million suit against the state. 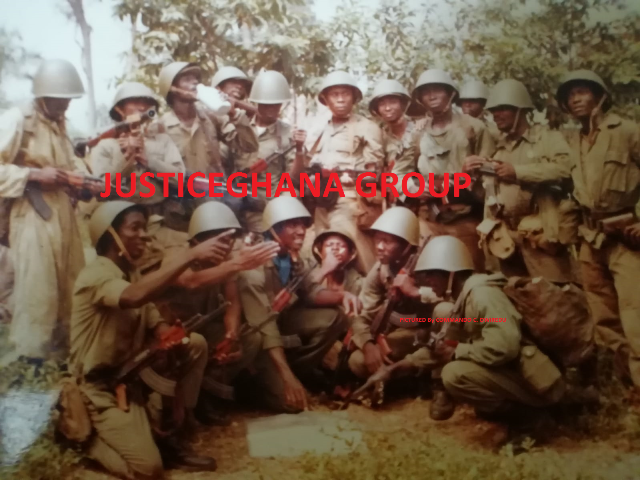 Ghana, on December 31, 2013, won a landmark case in a US court in which the company, Tjgem LLC, had sued the country for punitive damages totalling $425 million. The case, which was related to the award of a contract to the Accra Sewer Development Project, also had the Accra Metropolitan Assembly (AMA) and its chief executive, the Minister of Finance and Economic Planning and Conti Construction Company Inc. of the US as co-defendants. Tjgem LLC filed the case at the United States District Court of Columbia on March 22, 2013, alleging common law fraud, racketeering and economic espionage, conspiracy to defraud and misappropriation and conversion of trade secrets against the Government of Ghana and its officials. But in its judgement on December 31, 2013, the court, with Judge Beryl A. Howell presiding, dismissed the case, saying “the claims by Tjgem are at best those of a disappointed bidder that failed to win a contract with a foreign government”. In a unanimous decision, the appeal court held that “the order of the district court be affirmed in its entirety. The district court correctly concluded that it lacked subject-matter jurisdiction and dismissed the complaint pursuant to Federal Rule of Civil Procedure 12(b)(1)”. Tjgem LLC, a domestic corporation, was formed to pursue infrastructure projects in Ghana. It entered into discussions presumed to be negotiations for a contract to reconstruct the Accra sewer system but ultimately was not awarded the contract. It filed a suit alleging that the Republic of Ghana and the defendants committed a number of torts, but the district court dismissed the complaint for lack of subject-matter jurisdiction under the Foreign Sovereign Immunities Act (FSIA). According to the court of appeal, “Tjgem fails to show that the district court erred in concluding the conduct alleged in the complaint, as supported by the attached exhibits, did not come within the FSIA commercial activity exception. The legal theories underlying the complaint are difficult to discern, but with respect to the claim that a misappropriation of trade secrets occurred in the United States, there is no proffered evidentiary basis to support such a claim. According to the Court of Appeal’s decision, a copy of which is available to the Daily Graphic, “Tjgem pointed to nothing more than bare assertions and a brief reference in an Internet news story to a memorandum of understanding being signed in the United States. “Nothing in the record indicates the memorandum involved Tjgem’s trade secrets or that any trade secrets were disclosed by any of the defendants to the Export-Import Bank of the United States,” it said. The court further argued that financial harm to a US business abroad was not a direct effect for purposes of the FSIA commercial activity exception. The court indicted Tjgem for “failing to show that the district court abused its discretion by dismissing the non-sovereign defendants, pursuant to Federal Rule of Civil Procedure 19(b)”. Commenting on the decision, the Attorney-General and Minister of Justice, Mrs Marietta Brew Appiah-Opong, expressed Ghana’s gratitude to the external solicitors, Dorsey and Whitney, represented by Juan Basombrio, for their hard work.